?Not only has the country been stunned by the awesome verdict, the entire free world must learn from the courage of the poor, illiterate, the voiceless and the underprivileged of the earth?s largest democracy as they punish rulers who thought their realm consisted of only 150 million for whom India was definitely ?shining?.? Editorial of the Indian weekly, ?Outlook?. 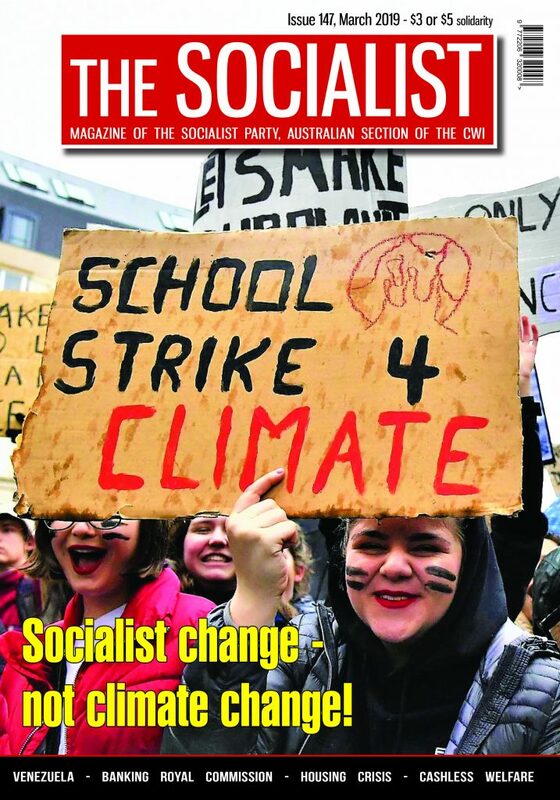 Jagadish Chandra, New Socialist Alternative (CWI-India)The results of the recent elections in India have outsmarted every pollster and all political parties. It is a stunning defeat for the Bharatiya Janata Party (BJP), which hoped to make hay while India was shining for them! The overwhelming credit for the defeat of the National Democratic Alliance (NDA), led by the BJP, should go to those unsung heroes and heroines who silently walked to the polling booths to register their protest vote against a government which had belittled and insulted their penury with their fantasy campaign programme -?India Shining?. It was not just the NDA-BJP which was routed but also all the other political careerists. Naidu of the Telugu Desham in Andhra Pradesh, Jayalalitha of the All India Anna Dravida Munnetra Kazhagam (AIADMK) in Tamil Nadu, Krishna of the Indian National Congress in Karnataka were dumped in the dust-bin of history. For political pundits here to talk of this debacle in terms of a mere anti-incumbency vote is like brushing aside a tornado strike as just a routine expression of nature?s ire. It is very clear that the ordinary working people of India have spoken unitedly and rejected the capitalist parties and their shades, lock stock and barrel. The BJP?s defeat is quite comprehensive. Twenty five ministers of Vajpayee?s cabinet lost their seats in the elections humiliatingly. The rime Minister in the NDA government, Vajapayee himself, scraped through with a poor margin. While the BJP master tacticians – smug whiz kids with data-rich computers – were contemplating a total of two hundred plus seats for the BJP and three hundred plus for the NDA as a whole, within the first hours of the counting on electronic voting machines it became crystal clear that the BJP would even fail to retain its position of single largest party in the parliament, let alone come back to power. It had 182 seats in 1999 and is now down to 138. The BJP actually gained 48 new seats, mainly from the Congress-ruled states. But the loss of 90 seats from the 182 it held in the last parliament and its vote share coming down from 23.75% in 1999 to 21.48% now, shows that the communalist and neo-liberal BJP-NDA has been decisively rejected. ?Sab uparvale ki kripa hai.? (?This is a gift from the almighty.?) This is what Ahmed Patel said, a Congress working committee member. Neither Congress party functionaries nor Sonia Gandhi in their wildest dreams had expected such a windfall. As Outlook magazine commented, ?She (Sonia) had started out hoping just to stay in the race; she ended up as the undisputed champion?. The negative protest vote, if not a hate vote, against the NDA-BJP has resulted in catapulting Congress into the limelight of national politics once again. At the time of writing, it has become certain that a Congress-led coalition with Manmohan Singh as Prime minister will be forming the next government in a day or two. Congress, with a total tally of 145 seats, has made a net gain of 31 seats. But, like the BJP, it has seen its vote share drop too, from 28.3% in 1999 to 26.21%. It had an impressive win in the state of Andhra Pradesh, where it was in an alliance with Telangana Rashtra Samithi (which is spearheading a movement for a separate state within Andhra). But, for precisely the same reason ? the unpopularity of the two state regimes ? Congress lost in Karnataka. Both Krishna?s government of Karnataka and Naidu?s in Andhra were identical in functioning. Both were elitist in their approach and neglected the ?have-nots? constituency. While Congress replaced Naidu in Andhra, Krishna?s Congress in Karnataka will in all probability have to share power with a rival party. Apart from the rejection of the communalism of the BJP on a national scale, the voters have categorically rejected the neo-liberal policies of both BJP and Congress. At the surface level, it may look as if the mandate is for the Congress and its allies, but in reality the electorate has widely voted out the BJP while reluctantly giving a protest vote to Congress or other opposition parties, holding their noses. Another important factor in the increasing fortunes of the Congress is the alliance arithmetic going in its favour. In the states where they did not have any alliance they have done dismally. To win an election with alliances is one thing but to manage the power equations while ruling is another thing. The micro picture of the future unfolding political crisis was exhibited in the high drama of the selection of the prime ministerial candidate and, not less important, the composition of the coalition itself. The very fact that Sonia opted out goes to show that the coalition government?s longevity in all probability will not be great. It is no coincidence that most of the backstage and prop-up artists of the Indian political theatre come from a left political background. Interestingly, like their political mentors in the two Communist parties ? the CPI(M) and the CPI – they are very happy doing that job. Given the general antipathy against the neo-liberal policies of both central and state governments across the country, it is not surprising that voters have in many cases rejected both the major capitalist parties – the BJP and Congress. It was to be expected that given the large scale unemployment, peasants committing suicide, massive factory closures and redundancies, the voters, given a chance, would vote for a change. It was this ground reality that forced Congress strategists to water down their real economic policy for general consumption in the elections. The mood of the people in many areas was decidedly against the communal BJP, but more so against the harsh neo-liberal economic policies of both the Congress and the BJP. Given a more radical alternative they would have chosen it, but the left parties refused to be that alternative. They are happy to play the role of props for the discredited capitalist parties if not for capitalism itself. While the left ? the Communist Party of India (CPI) and the Communist Party of India (Marxist) (CPI (M)), the Revolutionary Socialist Party (RSP) and the Forward Block (FB) – is gloating over its increase in strength in the Parliament to 61 seats from 39, it could have done much better if this left had at least stood candidates in all the urban and semi-urban constituencies. Apart from in West Bengal, Kerala and Tripura they did not put up candidates independently in any other states. This time in the name of a secular alliance, they piggy-backed on the DMK in Tamil Nadu and on Congress in Andhra Pradesh. 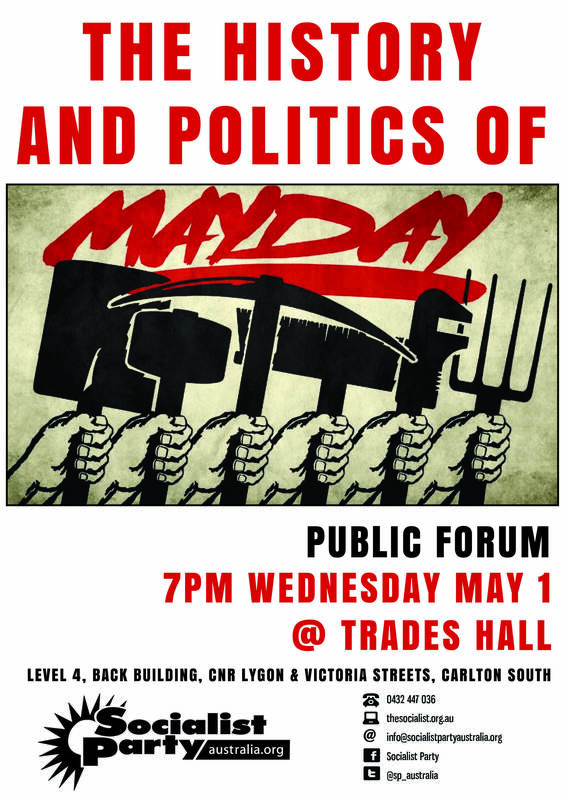 Given the thunderous success of two general strikes in a year – May 21st of 2003 and February 24th this year – in which more than 50 million workers participated on each occasion, the working class would have loved the opportunity to kick the capitalists out, but the left failed in their leadership to provide such an alternative. The ?lesser evil? theory of the ?communist? parties has given new life to Congress, but it is bound to come into collision with them very soon. The left has insured itself from the blame, by using the fig leaf of not participating in the government, but ?history repeats itself?, as they say, in a farcical way. In 1996 the left supported VP Singh?s United Front (UF) government, with the CPI joining it and the CPI (M) giving it support from outside. But all it was able to do was to clutch on to the ?Common Minimum Programme (CMP) which was drafted to keep the left happy, while all the pro-rich policies were rolled out. The Disinvestment Commission, that has bloomed into a separate ministry, was instituted during the UF regime, under the very vigilant noses of the ?left? parties. It is ironical that the left is demanding the scrapping of the Disinvestment Ministry, which came into being because of their compromises. The left will be increasingly used to hood-wink the working class and the down-trodden. The Congress will be happy to wear the left of centre robes and mouth all the pleasing rhetoric. Already as prime minister designate, Manmohan Singh said that economic reforms will be pursued ?with a human face?. That means the inherent inhuman quality of neo-liberalism will still be there! The scarecrow of communalism returning will be used to the utmost to push through further ?reforms? (attacks). ?We (the left) must ensure stable government. We stagger once and you can be sure that the fascists are coming back?The people have shown clear faith in a secular government. We have to be conscious of that? This statement from the CPI (M) leader, Sitaram Yechury, explains what future developments can be expected. The defeat of the BJP and anti-neoliberalism taking centre stage opens a window of opportunities for struggle. There will be some illusions in the left propped up Congress-led coalition for a while, but the working class and the rural poor will surely expect the reversal of many economic policies. 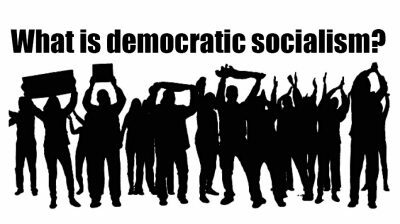 Apart from the demand of scrapping of the Disinvestments Ministry, the working class will demand the privatisations to stop, not just of profit-making units, as the left parties put it, but also of all other public sector units that have been made deliberately sick. Food and agricultural subsidies will be another realm where there will be lot of confrontation with this government. It should not be forgotten that Manmohan Singh was the finance minister during the previous Congress regime in 1991, which opened India for neoliberal policies. He was the darling of the World Bank and IMF then and the recovery in share prices when it was clear he was becoming Prime Minister indicates the the capitalists expect him to continue the neo-liberal reform programme. His statement that the public utilities and services could not be free, shows the beast behind the promised human-faced reforms. The ?communist? parties should have no truck with the anti-working class and anti-poor policies of the new government. If, in the early days, the government is forced to announce some genuine pro-poor policies, it should be supported. But otherwise, the period ahead should be one of intensified struggle for real reforms, including land reform, for jobs and services, for free education and shelter. 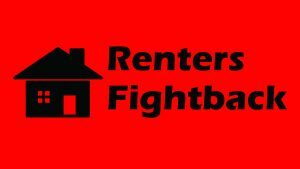 The idea of working class unity against communalism and bigotry must be underlined and campaigned for and, if the left parties fail to challenges capitalism, a new party of the working class must be built. 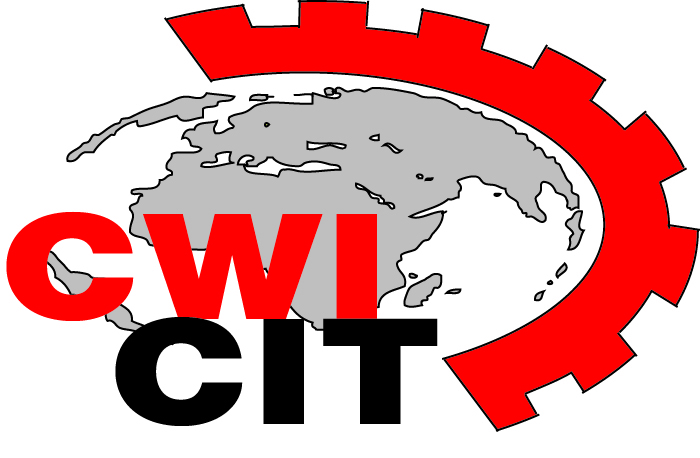 The New Socialist Alternative, the contingent of the CWI in India, campaigned along these lines during the election; it will be in the forefront of the big class struggles ahead. The body blow results to the BJP came from the three states of Andhra Pradesh, Tamil Nadu and Gujarat. It had been taken for granted that they would romp home with a minimum of seventy five seats from those three states alone. It was a complete wash-out in Andhra and Tamil Nadu. There the BJP was banking on the strength of its allies Naidu and Jayalalitha who were in fact totally out of touch with the reality on the ground. While Naidu of Telugu Desham, the darling of the World Bank and the International Monetary Fund was showing off his high-tech gizmos, there had been no less than 3,000 suicides carried out by poor and marginal peasants in the last four years. Jayalalitha, true to her erstwhile tinsel world?s image, was absolutely removed from reality. She is a one-woman show in her neo-feudal AIADMK party. The BJP, which saw in Jayalalitha a closer ideological ally, had dumped her arch-rival, Dravida Munnetra Kazhagam (DMK), from the NDA. The most baffling rejection of the BJP came from Gujarat, which is considered traditionally as the bastion of the forces of Hindutva (Hindu supremacist theory). Gujarat became notorious for giving a two-thirds majority to the BJP in the assembly elections of 2002 following a month-long genocide attack against Muslims virtually sponsored, if not organised, by the Narendra Modi-led BJP government. The assembly polls which took place soon after the horrific anti-Muslim pogroms were a sham. The Muslims were under death threats and were hiding en masse. The Hindu voters were in a state of shock and were under the spell of jingoism. They were told that voting for the opposition was like voting for Musharaf, and voting BJP was a ?patriotic? duty (see Gujarat elections: communalists profit from hate, 31 December 2002). Drunk with success in the victory during the assembly elections last year, the BJP imagined that the Modi and Gujarat carnage had been forgotten. The image of Vajapayee as the moderate within the dirty gang of the BJP was hyped up in an attempt to win over the renegade Muslim community leaders and some Mullahs and to woo the Muslim voters. On the other hand, they used Modi as the icon of hard-line Hindutva. Modi was the star campaigner for the BJP throughout the length and breadth of the country. He addressed 54 rallies in his vitriolic best. He was heavily used in the north of India, where the majority of the country?s Muslims live. Apart from a few self-proclaimed Muslim leaders who tried to swing the Muslim votes in favour of the BJP, Muslims in general took to tactical voting in order to defeat the BJP. Mili Council, an umbrella organisation of the Muslim minority in India, made special surveys of constituencies where Muslims are in a majority and identified the candidates who had the best chance of defeating the BJP candidates aspiring to power. They appealed to Muslims throughout northern India, with constituency-specific Urdu leaflets and posters, to defeat the BJP.